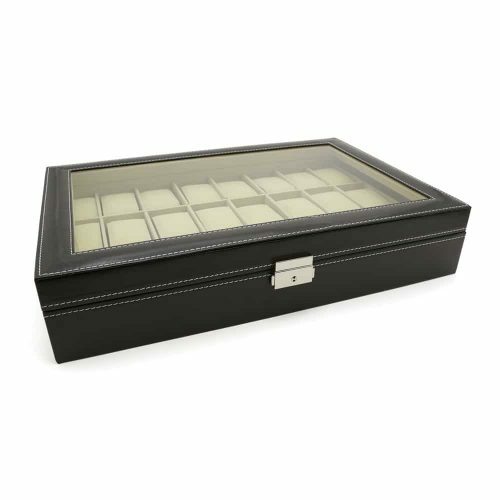 Display your fine collection with this 12 Grid Watch Box in Black. 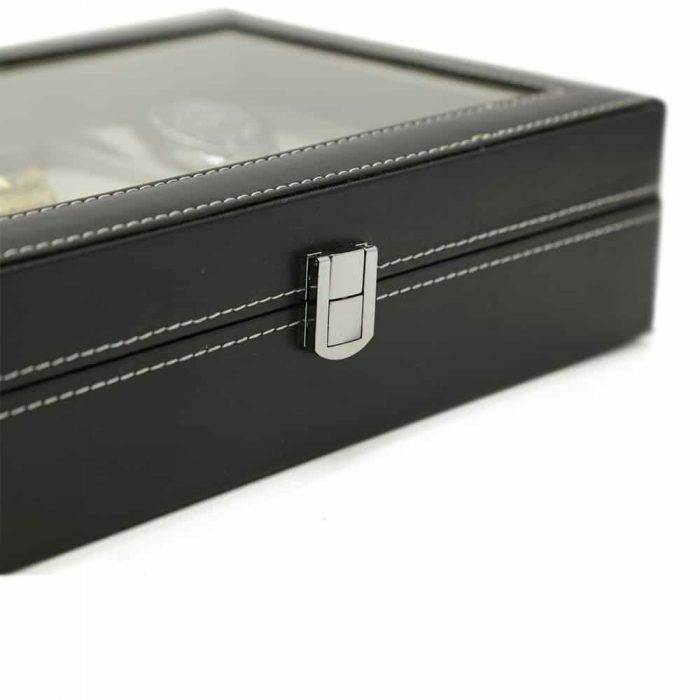 It’s made with the highest quality PU leather and accentuated with white stitching and silver features. 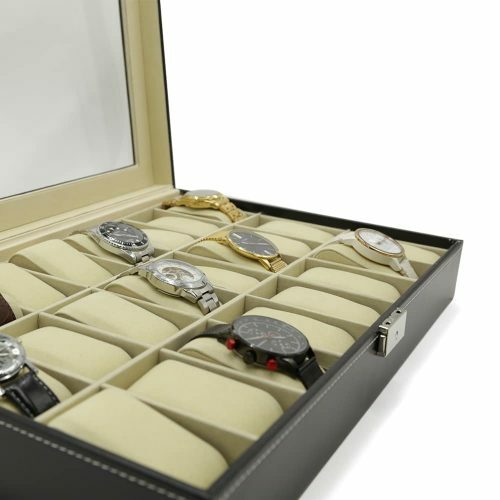 The lid has a see-through panel allowing you to easily view your watches while keeping it dust-free. 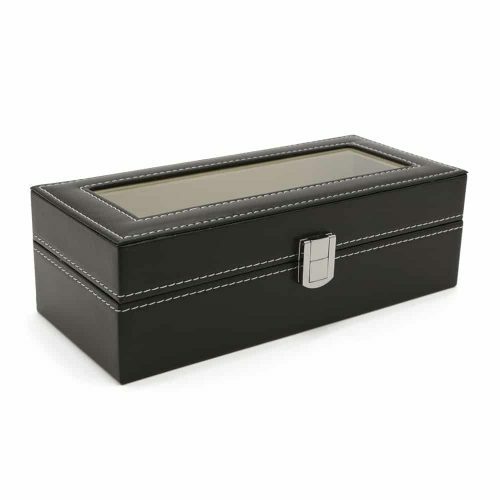 For better security, the lid also has a front clasp in silver. 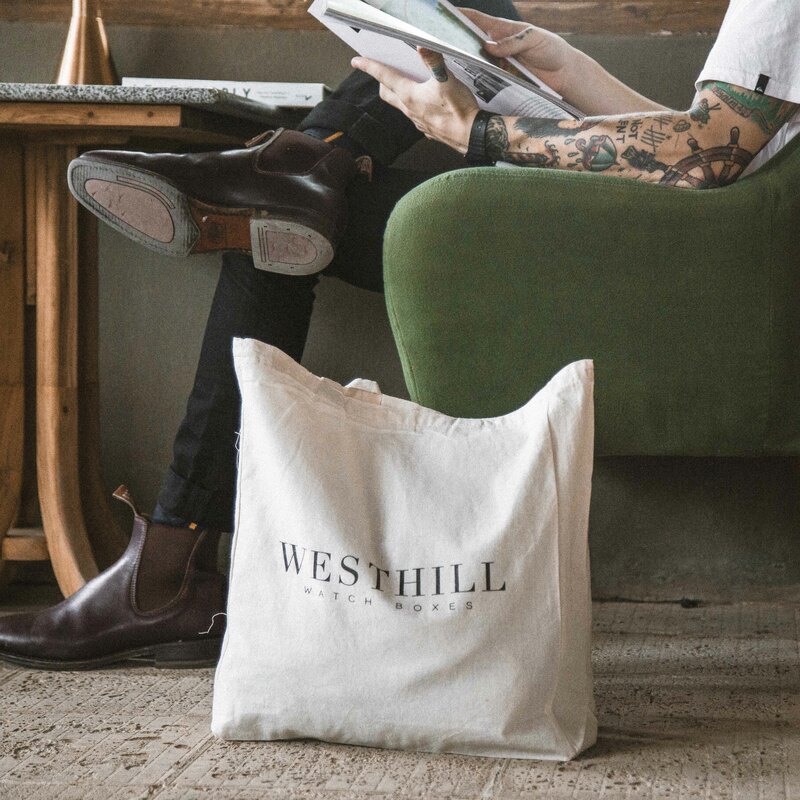 Inside, it’s fitted with a soft cream velvet material to cushion your collection. 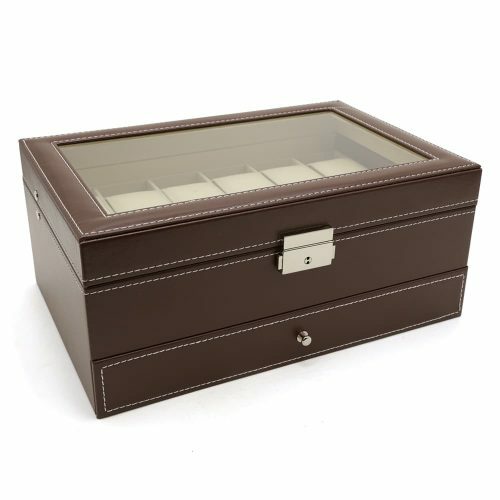 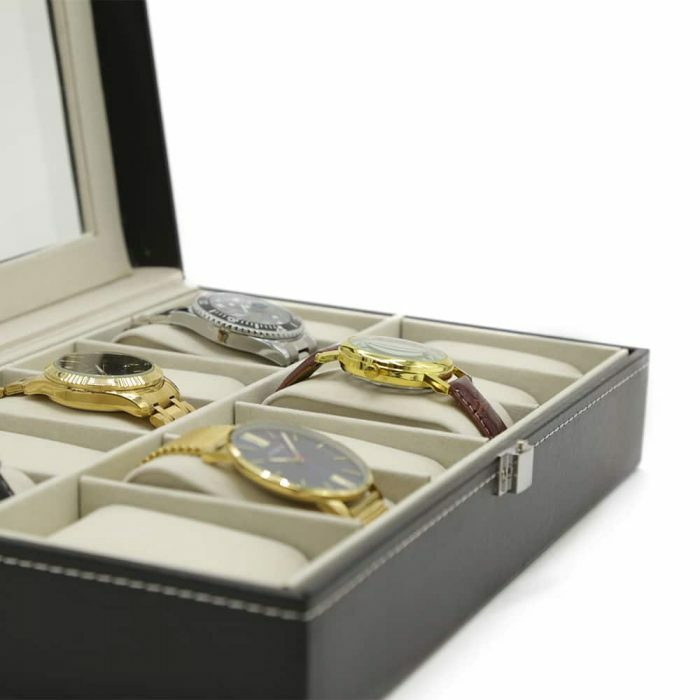 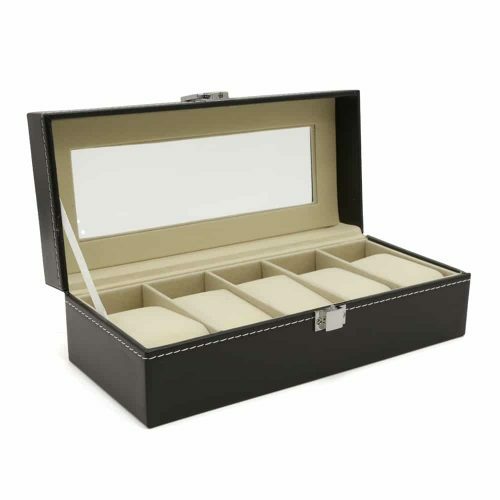 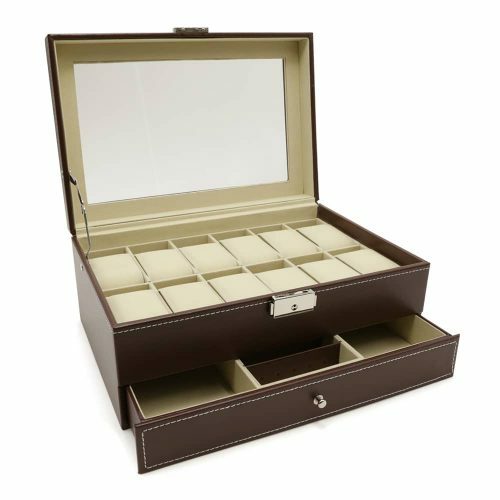 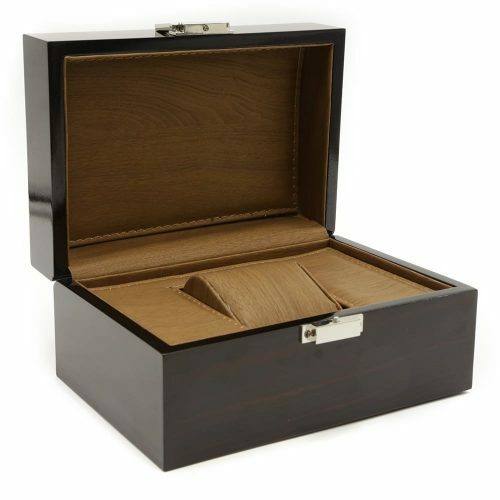 This watch storage box has enough room for 12 watches and it comes with removable pads in the same interior colour. 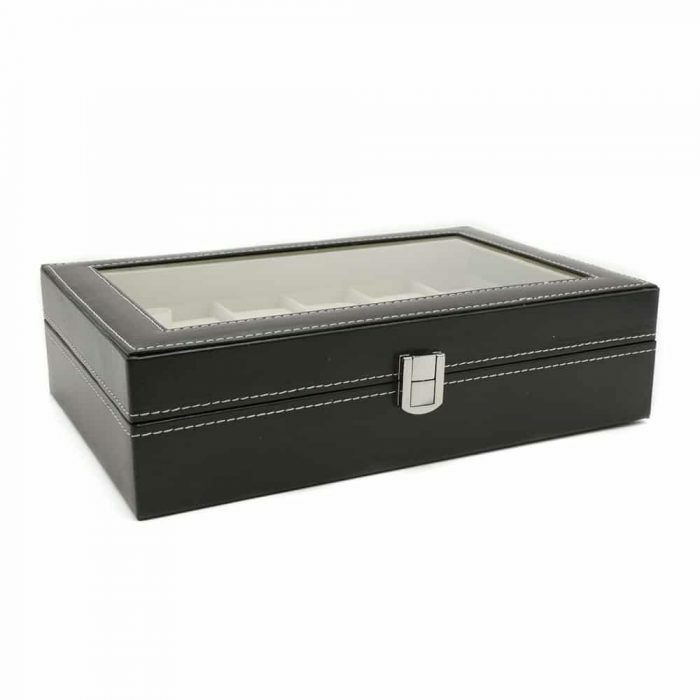 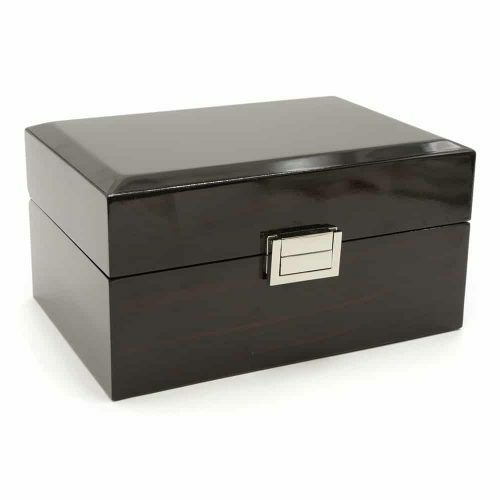 With plenty of room, this box is perfect for keeping everything organised and secure.